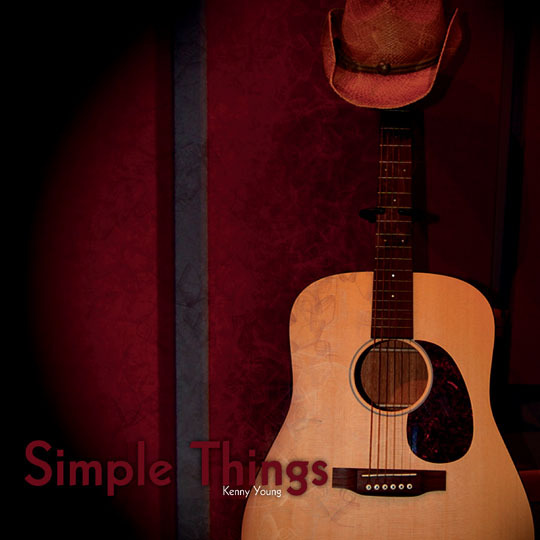 JANUARY 20, 2011 - KENNY YOUNG is a Jersey boy with a Southern twang and a fondness for rock n roll blasting from below the Mason-Dixon Line (THE ALLMAN BROTHERS and LYNYRD SKYNYRD). Such influences were not difficult to single out on his 2009 debut EP �THE KENNY YOUNG PROJECT'. Now YOUNG has released his first full length LP 'SIMPLE DREAMS' (TOMMY NAPLES MUSIC) and that life long dream of a life in music has finally been realized. Back in the mid nineties, KENNY YOUNG was at a crossroads. Torn between family responsibilities and a life in rock n roll that wasn�t paying all of the bills, YOUNG did what GEORGE THOROUGHGOOD sang about. He cut his hair and he got a real job. Once his two sons were old enough (and had demonstrated a certain amount of musical ability of their own) YOUNG stepped back into the light armed this time with the record deal that eluded him years earlier.